Should The Internet Be Rebuilt? It seemed that once Edward Snowden leaked the information about government spying, the entire world was thrown into a tizzy. Next were revelations by the NSA of email monitoring and other surveillance of innocent citizens. Since then, some companies and even parts of foreign government have gone completely offline, stating that it’s the only way they can protect themselves from digital spies. But those observers say that despite all of the hoopla surrounding governments and the news coverage that individuals like Snowden and Assange have received, we should be focusing our attention on the real issue: the internet, and its trustworthiness as a global network. One event that is occurring by at least one group is the rebuilding of the internet, due to the fact that in its current form, it can offer users neither neutrality nor privacy. Anyone who thinks otherwise is usually referred by these groups to recent news coming from the NSA. Internet companies, for their part, basically work for those companies with whom they do business, moving traffic according to business guidelines, and not according to what is best for customers. In the face of all of these realizations has come the truth: that the internet is broken, and the only thing to do is rebuild it. And that’s just what is happening with some groups in the United States: the construction of user-owned wireless networks that don’t require a centralized organization or any surveillance in order for secure communication to occur. Are The Internet’s Days Numbered? Some are saying that the internet, once a powerful network of computers that brought people together is not long for this world, not only because of recently-revealed news about how secure we really are, but because some say the arguments about who should govern the internet are starting to become very intense. It seems everyone wants a piece of internet pie, with many countries saying that the United States shouldn’t be the only country to have a shot at governance. We have been led to believe that those companies located out of the country cannot be trusted with our data. And yet, some of the most popular sites in the United States, including Microsoft, Facebook and Yahoo are all critical to the success of surveillance networks. But, as some say, this fact has been well-hidden from the general public. After all, who would be interested in using any of these popular services after having discovered they are far less secure than we once thought? How Possible Is It To Rebuild The Internet? In Brazil, plans are underway to rebuild at least parts of the country’s internet. Key pieces of Brazil’s web infrastructure are being seriously considered for a complete tear down and rebuild because officials there believe these pieces have been significantly compromised by the NSA, something that the documents released by Edward Snowden definitely allude to. Those observing these happenings say that there couldn’t be a better time to consider a rebuild, seeing as Brazil is on the verge of connecting themselves to Europe via the installation of fiber optic cables. They have also begun construction of a new communications satellite. What is most interesting about Brazil’s intention to rebuild the internet is that it will likely set a precedent for the rest of the world. Their success would mean that a major hub for cross-Atlantic cable internet traffic would be unavailable to the NSA. This is significant, because the NSA has publicly stated that it holds major importance for intelligence-gathering operations. However, the other side is that, even though this major hub would be closed to communications, there would still be countless other such access points from which the NSA could get their information. Regardless, the future of the internet will be an exciting thing to observe as more information continues to be leaked about just who is watching us, and why. Guest author Jesse Schwarz frequently writes on technology-related topics. 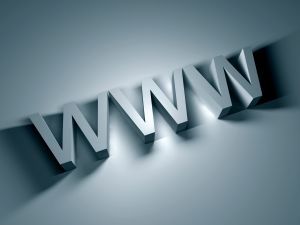 He recommends www.internet-serviceproviders.com as a resource to compare anti-virus options for moderate protection during online activities. Citations: The death of the internet?